AMRITSAR SAHIB, Punjab—First Sikh Canadian Defence Minister S. Harjit Singh Sajjan today arrived in the holy city Sri Amritsar Sahib at around 7 pm. 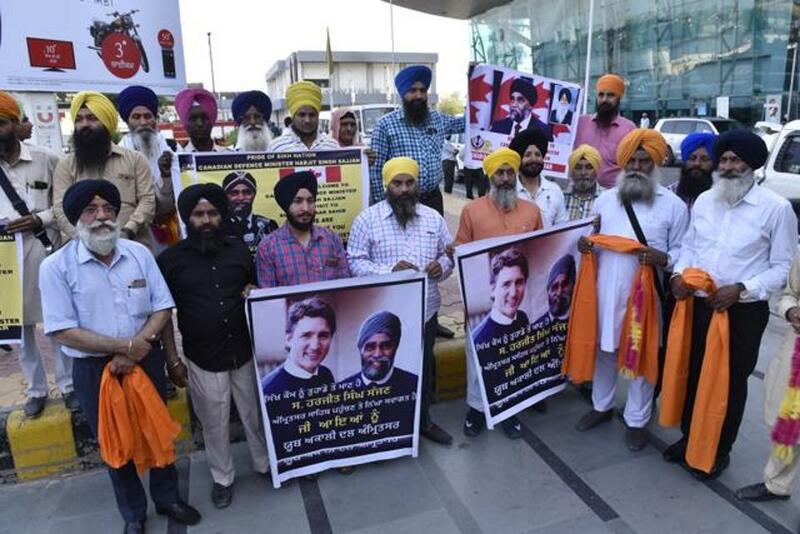 His arrival at Sri Guru Ram Dass International Airport witnessed a warm welcome treat by the common Sikh masses as well as Sikh activists of various organizations. Sikh Youth and Jathebandis waited outside airport to receive and honour Sardar Sajan but they were not allowed by security to meet him. Amid extremely tight security, the activists of Shiromani Akali Dal Amritsar and Youth Akali Dal Amritsar welcomed S. Harjit Singh Sajjan by displaying placards with welcome note lettered on them. Slogans like ‘S. 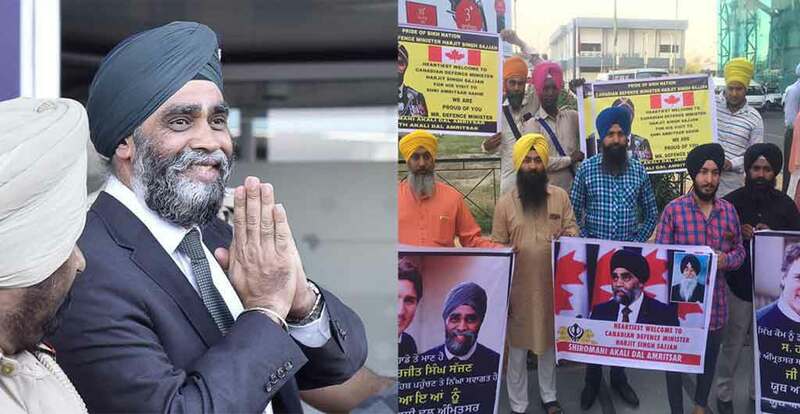 Harjit Singh Sajjan Zindabad’ started echoing inside the Airport premises once S. Harjit Singh Sajjan came out. S. Jarnail Singh Sakhira, S. Harbir Singh Sandhu, S. Amrik Singh Nangal, S. Navdeep Singh, S. Gursharan Singh Sohal, S. Gurmail Singh, S. Pritpal Singh, S. Gurbhej Singh, S. Ranjit Singh etc. Sikh activists of were present on this eve.